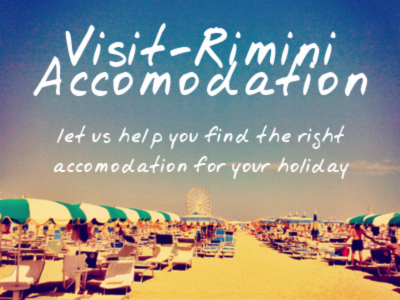 Important disclaimer: Visit Rimini is not the official tourism site run by either the Comune of Rimini or the Emilia-Romagna region. Visit Rimini is an independent tourist information site, written and edited by a small group of Irish and Italian writers based in Rimini. I’ve been visiting Rimini annually since 2000, and have always loved the history, culture, traditions and cuisine of Emilia-Romagna in general, and Rimini in particular. As a visitor with initially no Italian language skills, I noticed that a lot of the real treasures of the city were somewhat hidden behind an invisible language barrier.Rimini has been a phenomenal tourist success since the 1960s, but it has been predominantly with Italian tourists, or non-English speaking tourists (Germans, Russians etc). Information about the city and surrounding province, in English, has been relatively scarce. As my Italian improved I found out so much more about this fascinating city, and enjoyed it all the more. With my wife (born and bred in Rimini!) and some friends and family, I decided to try to share some of this information, to reveal some of the ‘insider’ information, to help English language visitors get the most out of their trip to Rimini. We hope you find the free information on this site useful, and that you enjoy your trip to Rimini and Emilia-Romagna!